He is board certified by the American Academy of Family Physicians. Currently, he is an Associate Professor of Medicine at MCV and serves on the Board of the American Academy of Private Physicians. Randy is passionate about how patient care can be enhanced through technology and has been first to bring these benefits to his executive practice here in Virginia. He is a founder of VitalKey, an electronic medical records management service. And, he serves as a national speaker for a number of cutting-edge technologies like FotoFinder, a mole mapping technology; Sonosite, a leader in portable ultrasound; and Next Healthcare, an innovator in stem cell storage. His commitment to patient care extends from the executive physicals he performs for the majority of the Fortune 1000 companies in the Richmond area to his work at Goochland Free Clinic & Family Services. He is a former President and current board member of the Free Clinic and an active volunteer providing regular indigent patient care. He is married, has four children, and is an avid fitness and golf enthusiast. Dr. Schaaf was born and raised in Richmond, VA. He earned a bachelor’s degree in psychology from Hampden-Sydney College and then attended medical school at The George Washington University. He went on to complete a general surgery internship at the VCU Medical Center where he learned the basic principles of surgical techniques and procedures as well as the management of surgical and critically ill patients. 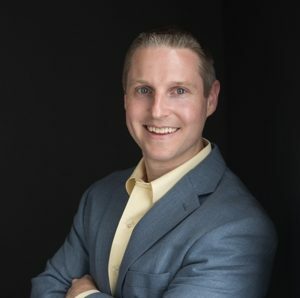 During that time, he realized that family medicine was his true passion, and subsequently completed his residency training in family medicine at the Chesterfield Family Practice Family Medicine Residency Program, a VCU/CJW affiliated residency program. He is board certified in family medicine by the American Board of Family Medicine. 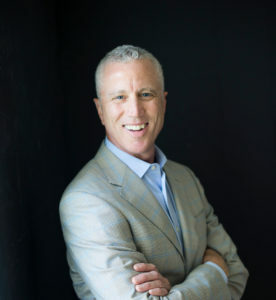 Dr. Schaaf has worked in a variety of clinical settings including a traditional outpatient family medicine clinic, as a hospitalist physician at Chippenham and Johnston-Willis Medical Centers, and in an addiction medicine clinic performing medication-assisted treatment for the management of opioid addiction. Through his various clinical experiences, Dr. Schaaf discovered that the standard medical care afforded by the traditional medical model does little to identify, or prevent, the number one cause of death in Americans—cardiovascular disease. At Executive Health Group, Dr. Schaaf utilizes the most advanced and innovative techniques in preventive care possible, including advanced cardiovascular panels, gut health testing, genetic testing, and ultrasonography. He is also certified in the Bale Doneen Method. Dr. Schaaf believes that the practice of medicine is not a one-size-fits-all approach. Each patient has unique challenges and needs that must be addressed as a doctor-patient partnership to form a treatment plan that will help detect and modify risk factors to prevent disease and provide a better quality of life. Outside of clinical medicine, Dr. Schaaf has been active in numerous professional organizations including the Medical Society of Virginia, for which he has served on the Board of Directors, and the Richmond Academy of Medicine. Through his participation in these organizations, Dr. Schaaf has collaborated with other physicians and legislators from across the state to help create and shape health policies for the state of Virginia. He also serves on the Medical Advisory Board for the Pregnancy Resource Center of Metro Richmond. In his free time, Dr. Schaaf enjoys numerous outdoor activities including playing tennis, working out at the gym, snow skiing, kayaking, fishing and hiking. He is an avid aviation enthusiast and aspires to earn a private pilot license. He also enjoys spending time with his family, friends, girlfriend and Labrador Retriever. Dr. Schaaf looks forward to meeting you and your family and providing the most compassionate and comprehensive care available. 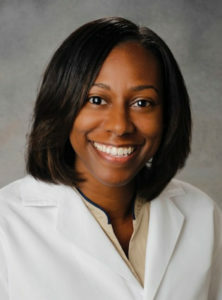 Dr. Tania Akers-WhiteDr. Tania Akers-White, affectionately known as “Dr. Tania,” works with and helps individuals achieve optimal health and wellness for a lifetime. She believes in delivering a comprehensive approach to wellness by combining the best of traditional medicine with the latest in modern technology and healthy lifestyle strategies to achieve a new levels of health and vitality. Dr. Tania completed her undergraduate work at the University of Virginia and received her graduate degree from George Washington University. Following graduate school, Dr. Tania earned her medical degree from Ponce School of Medicine. She is certified by the Board of Family Medicine and is a member of the International Association for Physicians in Aesthetic Medicine as well as the American Society for Metabolic and Bariatric Surgery and Obesity Medicine Association. Dr. Tania considers herself a lifelong student and is currently pursuing her board certification in obesity medicine. She was honored and recognized by her peers as “Top Doc” in 2016 and 2018. Dr. Tania has a deep understanding of the unique needs and nuances related to women’s health and wellness. She works with and counsels women in the areas of healthy weight loss/management, family planning, menopause, hormone replacement therapy (including bioidentical hormones), skin rejuvenation/ botox, cosmetic surgical procedures and Liposuction for fat reduction and body contouring. If you have any other questions, or if there is anything else I can do to help, just let me know!